In a study published in Scientific Reports online on August 23, 2017, the investigators demonstrate that dopamine, a small molecule produced by skin melanocytes (cells that determine skin color), contributes to differences in the skin’s responsiveness to heat and mechanical stimuli. The study was led by Brian L. Schmidt, DDS, MD, PhD, director of the Bluestone Center and professor of oral and maxillofacial surgery at NYU Dentistry. The group’s meta-analysis in rodents, and comparison of genomic differences between mouse strains, pointed to a gene called Tyr, which controls pigmentation and dopamine synthesis in the skin. They manipulated dopamine levels in the skin and found that dopamine causes increased expression of TRPV1 and decreased expression of Piezo2, two proteins that are responsible for heat and mechanical sensitivity, respectively. The research was funded by the National Institute of Dental and Craniofacial Research (R01 DE19796). In addition to Drs. Schmidt, Ono, and Ye, coauthors from NYU include Chi Viet, Dongmin Dang, and John Dolan, as well as Suzuro Hitomi and Takashi Toyono, both from Kyushu Dental University in Fukuoka, Japan. 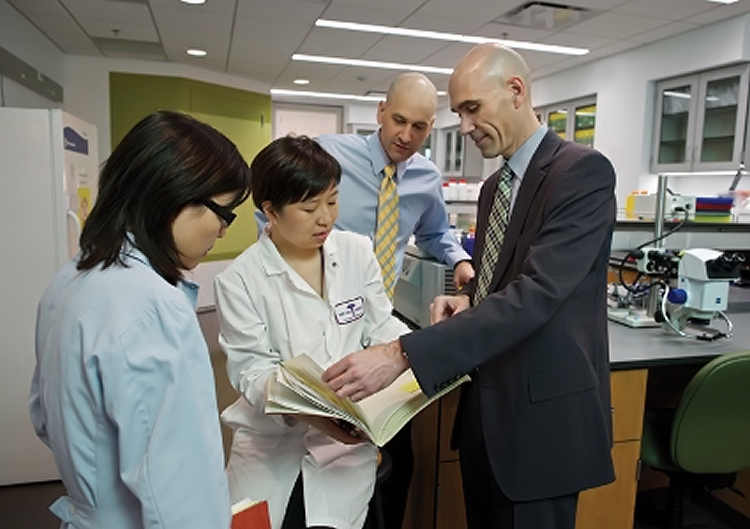 The Bluestone Center for Clinical Research, in conjunction with the NYU Oral Cancer Center, is an academic research organization located at the NYU College of Dentistry. Bluestone’s mission is to take a creative scientific approach to transform world health. Bluestone is dedicated to conducting research in oral cancer, cancer symptomology, pharmaceuticals, medical devices, emerging biotechnology, periodontics, implants, and oral health products. Superhuman 'night' vision during the total eclipse?